This is the summary of consumer reviews for Panasonic KX-TG4743B DECT 6.0 Cordless Phone with Answering System. The BoolPool rating for this product is Very Good, with 4.40 stars, and the price range is $82.48-$99.99. 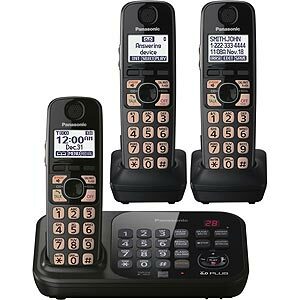 Panasonic KX-TG4743B DECT 6.0 Cordless Phone with three handsets is designed with large LED backlit display, large text/number display, big buttons and simplified key layout. DECT 6.0 technology offers outstanding range and superb sound quality, without conflicting with other wireless devices within range. 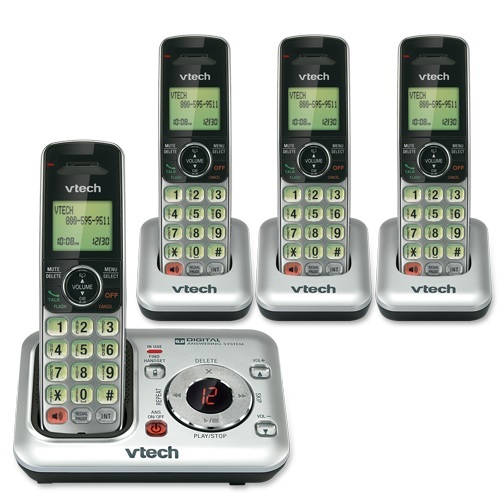 The built-in digital answering system allows up to 18 minutes of record time, with message retrieval from any handset. Some other features include - talking caller ID, call waiting, call blocking, 4-way conference calling, tone equalizer, ECO mode and intercom facility. The phone holds long battery life and uses standard AA rechargeable batteries for convenience. 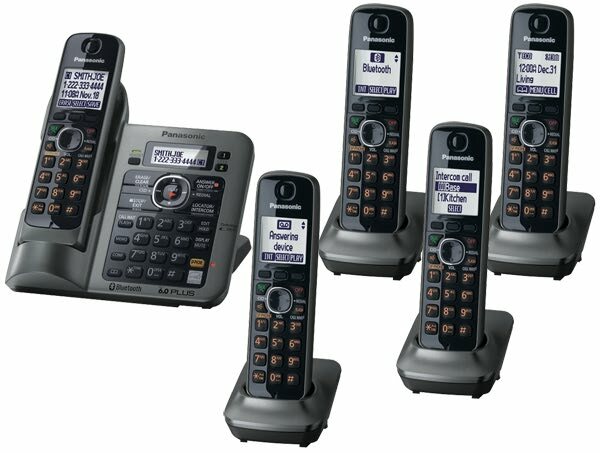 The Panasonic KX-TG4743B is expandable up to 6 handsets. 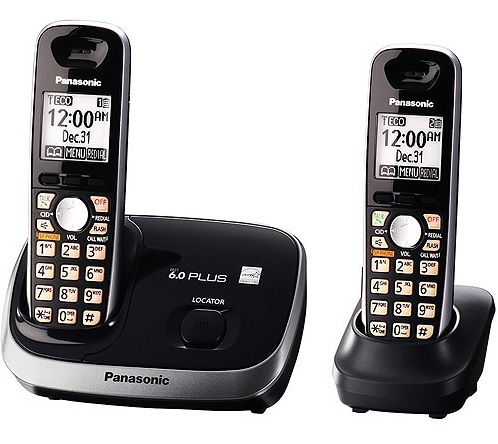 Overall, the Panasonic KX-TG4743B DECT 6.0 Cordless Phone with Answering System is highly recommended for its user-friendly features and affordable price range. That's available on other models with higher prices though.The phones use a standard AA rechargable batteries, which i think is a good feature. large display is easy to see. 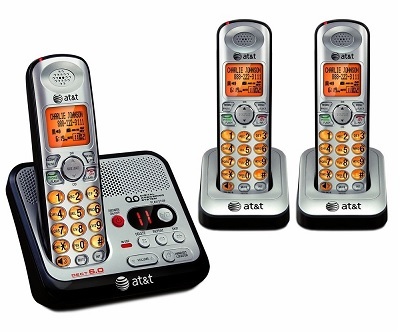 Ironically, this's absolutely the best phone system (easy to program, extended coverage/distance while using phone from primary system, reliable, holds long charge, uses "costco" cheap batteries, no special costs for specialized batteries, and priced lower than other phone systems). They should be more readily replaceable than the specialized batteries. My previous phones were panasonic and I was very happy with them. Nice and loud clear call volume, loud ringer volume (could use some more normal ringtones though), great reception. I bought the first for the house, having had great luck with Panasonic cordless in the past. Awesome phone, love the caller I'd read out loud feature. I LOVE the talking caller ID. We like features for blocking unwanted callers and grouping family numbers. Really like the features like caller ID and answering system. Love the larger display numbers and white background, lots of additional features ie intercom, answering system etc. My only criticism would be the lightweight bases. BONUS FEATURES include intercom functionality between handsets; ability to listen, save and/or delete voicemails from handset; other features too numerous to mention. All phone features do work. Lots of new features we love on the new system and the hand set buttons and screen are large enough to see even without glasses. Exceptional reception, nice easy to read screen, dial pad has nice large font. Within my large home, the sound quality is flawless. Some other incidental features; volume can be controlled on each handset; each phone has a nice big flashing message light. Well illuminated dial on handsets and base unit. Love the convenience of the intercom - buttons and screen are bigger and easier to read. I gave up and ordered new batteries for my old phones on which the caller ID works just fine. I'd recommend these to others who're looking for wireless home or office one line phones. Great voice quality, range and near perfect displays. I LOVE THE VOLUME CONTROL FOR THOSE CALLERS WHO SOMETIMES HAVE BAD SIGNALS FROM THEIR CELL PHONES. Great voice quality, a near endless array of features, and great range. easy to program; excellent voice qualities. Handset is easy to hold, large and backlit buttons makes it easy to dial out in low light. The display is easy to read with clear letters and numbers. Only had for two weeks but seem to work fine, good voice quality,l easy read screen, programming was easy, drawback is only 90 entries for address book. Great phones, easy to set up and easy to use. The display is clear and easy to read. Easy access to voice mail.